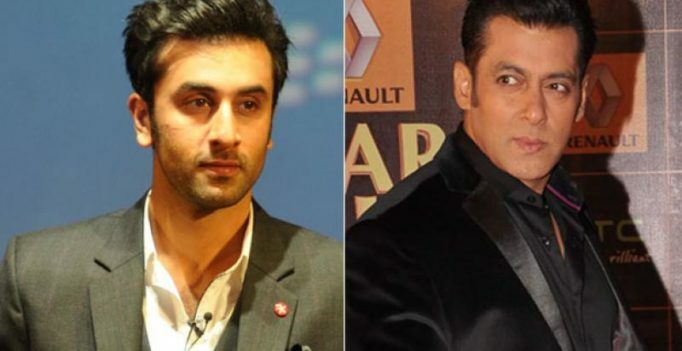 Salman has a history of not getting along with other stars and Ranbir is also reportedly one of them. Mumbai: Ranbir Kapoor had made his debut in Sanjay Leela Bhansali’s ‘Saawariya’ which had Salman Khan also playing an important part. However, there have always been reports of the two actors not getting along with each other. While Katrina Kaif is often termed as a reason for it, as Salman was reportedly dating her before she got into a relationship with Ranbir, there were reports earlier this year that Salman had slapped Ranbir in public before the latter had even made his debut in the film industry. And it definitely seems that nothing has changed as Salman, who is known for his witty one-liners on his reality show ‘Bigg Boss’, took a dig at Ranbir when Alia Bhatt and the team of ‘Dear Zindagi’ recently made an appearance on the show. Salman was perhaps referring to the string of unsuccessful films Ranbir featured in before his last film ‘Ae Dil Hai Mushkil’. Alia shares screen space with Ranbir is ‘Dragon’ and it would be interesting to know how she might have handled the situation.